No show until Open House, Sunday 8/20, 1-3 pm. 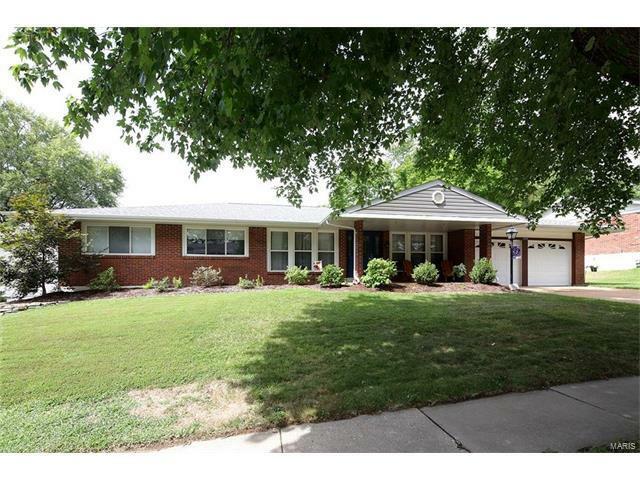 This beautifully updated, four bedroom ranch is a must see! Located in Old Farm Estates and Parkway Central. Updates are numerous and include kitchen with 42" cabinets, stainless steel appliances and granite counters. Both bathrooms have been updated with ceramic tile, newer vanities and all newer fixtures. Six panel doors throughout and many newer light fixtures. Nice backyard with newly stained deck is perfect for entertaining! Other updates include insulated windows, roof (2017), water heater. gutters, soffits, fascia, skylight. See attached list of updates Basement has been waterproofed and ready for your finish! Washer and Dryer are offered "as is", refrigerator is negotiable. Please see seller's disclosure for window treatment exclusions. Old Farm Estates pool membership is currently available to residents for an additional fee. Starting in 2018, annual subdivision dues will be $220 and will include pool membership. Olive to Creve Coeur Mill. Right on Old Farm (becomes Bookbinder). Right on Greenbough. Left on Burlewood. Home on Left.